Our volunteers. They make us who we are. As a debt charity we’re never judgemental and we understand that addressing financial problems can be a daunting process. That’s why we’re committed to showing those in debt that there is light at the end of the tunnel, empowering them to take control of their finances, whatever the circumstances. Our clients are from all walks of life and are in financial difficulty for all sorts of reasons from ill- health or relationship problems to changes in employment or over committing on credit. We understand that making the decision to ask for help with your financial problems can be difficult. That’s why we won’t ever judge you or take sides, and why we’ll always be there to provide the support that’s essential to help you out of problem debt. We’re proud of the team who spend time volunteering for our free debt, budgeting and money management service, who make the real difference to people’s lives. 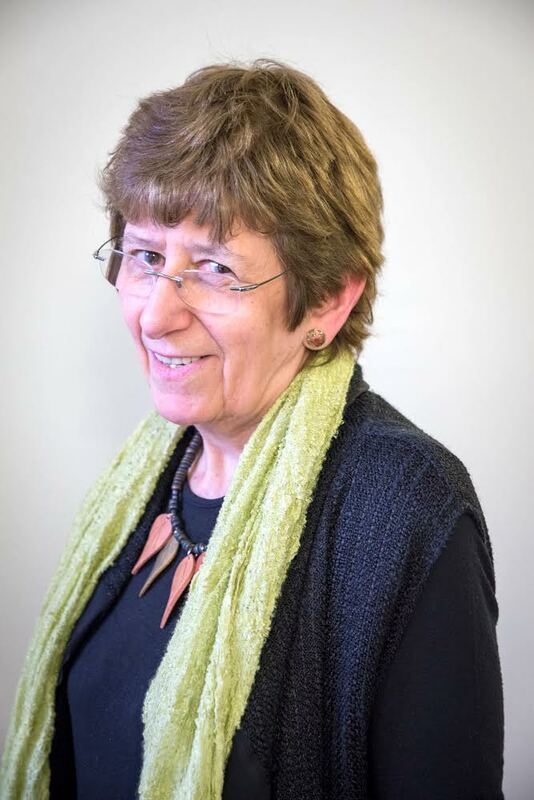 Jacky has spent more that 30 years providing advice and support for private tenants. 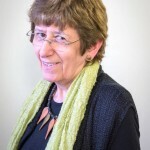 She worked with Hillingdon Credit Union to set up Brent Mutual in 2011 to provide support with the costs involved when tenants move to a better home and need deposits and rent in advance. Over the last few years, more and more renters struggle financially, due to escalating rents and cuts in housing benefit. Hardly surprising that some see the lenders in Kilburn High Road as an answer to their problems. It’s easy just to look at the ‘bargain’ offers of low repayments, without realising that the repayments will continue for a vast amount of time until the loan has been repaid many times over. Repayment amounts then increase, and soon people find themselves in a complete financial mess that they feel unable to get out of. KFCC tries to help in a number of ways. It helps individual people with their financial worries, it offers alternatives such as Credit Union Savings Accounts to help people to avoid the need to borrow, it campaigns against the High Street, High Interest lenders, and directs people who do need a small loan to those who may be able to help. That’s why I’m involved and why I want to see KFCC expand its services, involving lots more volunteers. I hope more people will join us. Helping people can be very satisfying, and can be fun too. John Kilvington – Secretary Born in Kilburn, John was cruelly taken away at the age of six months but returned to his roots 24 years ago and has been the welfare adviser at the Somali Cultural Centre ever since. His work has highlighted the level of debt in the community, especially among minorities and he been involved with the group from the start. Phil Turner Camden Councillor 1971-2006. Got involved at suggestion of Jacky Peacock about 2 years ago. Abby Sullivan I first started volunteering with the Kilburn Fair Credit Campaign in early 2014. At that time they were occupying the premises of the Healthy Heart Centre in Kilburn High Road on Saturdays and Sundays. I happened to be passing and noticed the posters in the window. I was invited in to chat about what they were all about and realised that it tapped into the outrage I was feeling about payday loan companies being allowed to operate legally on the high streets. Kilburn has a massive number of such places wooing people in when they are probably at their most vulnerable. They reap exorbitant returns on loans and force people into cycles of debt they don’t know how to get out of. KFCC helps people by advising them of their rights, offering concrete support in communicating with creditors, budgeting advice and signposting to services that can assist. We are also able to refer people to professional debt advisers when necessary. Volunteers are welcomed with open arms and every effort is made to make it a worthwhile experience which in turn makes you feel worthwhile! I think KFCC is an excellent group which brings people together so we can help each other survive the hardships of austerity. There are a number of community-based projects and initiatives being rolled out now that will make what we offer more accessible and also empower people! I work with Special Educational Needs in schools. I have been volunteering at fair credit campaign for 2 years now. It’s a fantastic opportunity being part of a team that provides quality information and services to members of the community about fair credit and learning about the wider credit union campaign. James King lives in Kilburn and has been helping the KFCC campaign for the last two years. James previously helped set up a credit union in Camden 10 years ago, and is a former councillor for Kilburn ward. He also has professional experience of promoting and protecting the interests of consumers of financial services. He got involved to help increase awareness of financial products that may meet the needs of people living in the Kilburn area. My name is Alastair Thom. I’ve lived in the area for 17 years and I’m a local vicar. I became involved in the Kilburn Fair Credit campaign through meeting a community organiser and am still involved because it seems to me to be a really important area in many people’s lives where with a bit of help and support people’s lives can be made better. As the local neighbourhood watch co-ordinator, the number of pay day loan shops was a cause for concern. The local residents were frequenting these shops and he wanted to do something about it. Movement4Change, a campaign organisation got in touch with him and enable him to raise the issue of these high interest shops that was preying on the vulnerable and disadvantaged and bring about an awareness about debt and to promote credit unions instead. After the successful campaign he has been involved with Kilburn Fair Credit Campaign group right from the start.